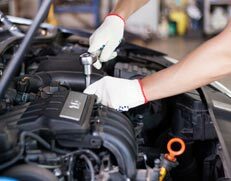 Bob Watson Service Centre is dedicated to providing top quality auto mechanical repairs and maintenance services to our customers across Hawthorn East. As a well-established auto repair centre, we go the extra mile to provide reliable services at competitive prices. Whether you are here for routine maintenance or have any specific problem to be addressed, you will be impressed by our friendly approach, quality service, and the fair price. From the moment you enter our auto repair centre until the moment you drive away your vehicle, you will be treated with fairness and respect. We are upfront and transparent, meaning that you will pay only for the services you’ve received. Our car repair and maintenance services are tailored to the needs of your vehicle and your specific driving habits. We employ only certified mechanics who utilise the latest diagnostic equipment and the highest quality parts, restoring your vehicle to the factory standard. We can service all makes and models of cars, SUVs, and trucks. Whether it is a simple oil change or a complex engine overhaul, Bob Watson Service Centre is your premier destination for all of your auto repair needs. Call 03 9882 2451 and schedule an appointment today!